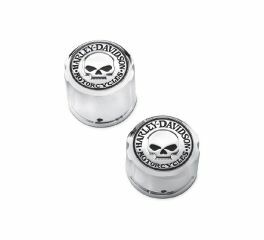 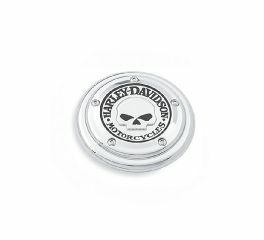 The menacing raised skull leaps from a field of chrome and the surrounding Harley-Davidson Motorcycles script is the perfect finishing touch. 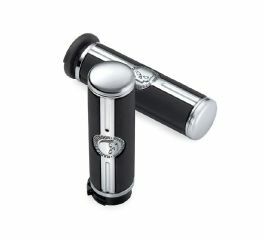 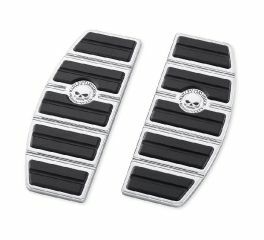 The deep black rubber pads are set against a brilliant polished and chrome-plated field to yield the dramatic appearance of the Willie G. Skull Collection. 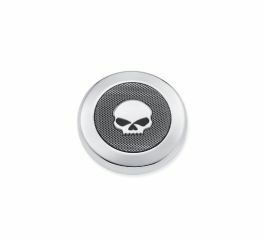 Add a sinister touch to your Heavy Breather Air Cleaner. 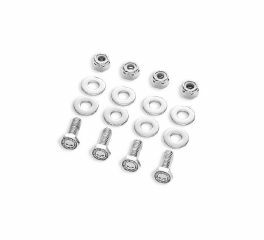 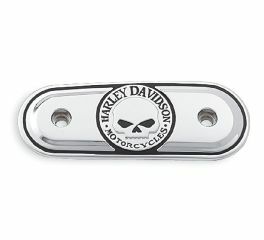 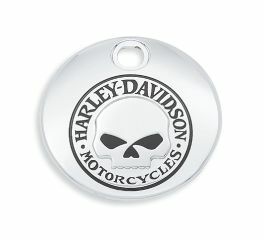 Chrome-plated self-adhesive cover features a forward-facing "Willie G.
Hardware for installing a license plate frame to your bike. 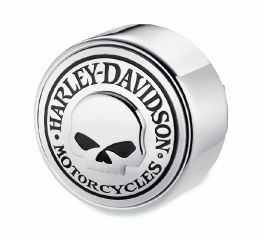 Add a little attitude to your ride. 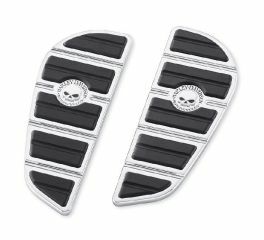 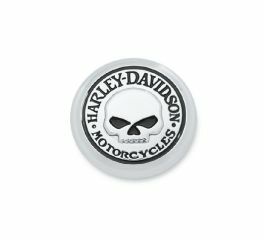 Styled to complement Harley-Davidson® Skull accessory items, the menacing raised skull with black-filled eyes leaps from a field of . 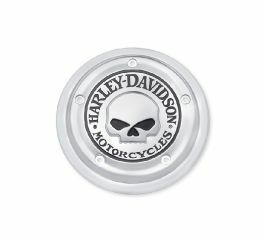 Personalize your fender skirts or almost any flat surface. 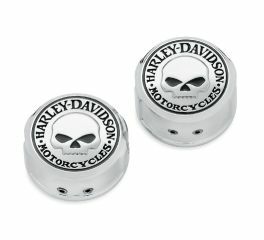 Easy-to-install inserts add a finishing touch to the front and rear brake calipers. 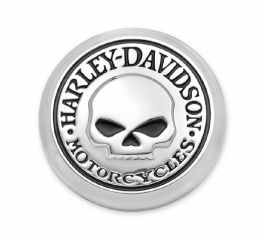 Select a style that follows your custom direction. 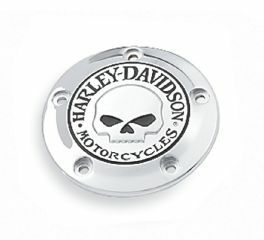 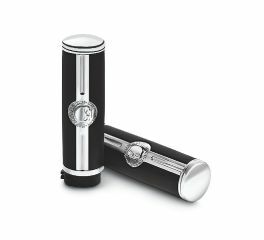 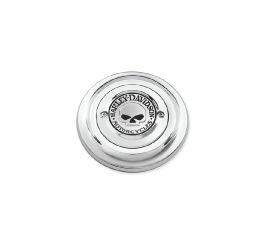 Styled to complement the components of the Willie G. Skull Collection, this round chrome finished horn cover features a cast 3-dimensional medallion with black-filled detailing.